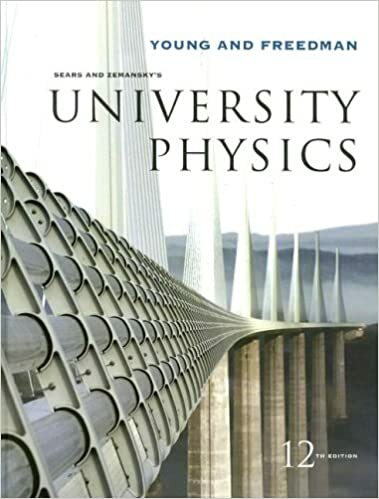 University Physics with Modern Physics, Twelfth Edition continues an unmatched history of innovation and careful execution that was established by the bestselling Eleventh Edition. Assimilating the best ideas from education research, this new edition provides enhanced problem-solving instruction, pioneering visual and conceptual pedagogy, the first systematically enhanced problems, and the most pedagogically proven and widely used homework and tutorial system available. Using Young & Freedman's research-based ISEE (Identify, Set Up, Execute, Evaluate) problem-solving strategy, students develop the physical intuition and problem-solving skills required to tackle the text's extensive high-quality problem sets, which have been developed and refined over the past five decades. Incorporating proven techniques from educational research that have been shown to improve student learning, the figures have been streamlined in color and detail to focus on the key physics and integrate 'chalkboard-style' guiding commentary. Critically acclaimed ‘visual’ chapter summaries help students to consolidate their understanding by presenting each concept in words, math, and figures. Renowned for its superior problems, the Twelfth Edition goes further. Unprecedented analysis of national student metadata has allowed every problem to be systematically enhanced for educational effectiveness, and to ensure problem sets of ideal topic coverage, balance of qualitative and quantitative problems, and range of difficulty and duration.